Have you ever been dead broke and frustrated? Are you stressed to the point of not being able to plan your routines effectively? The amount of stress you have in your life is in direct correlation to the lack of rituals you have in place. A ritual is something you do consistently with a proven track result because a proven system attracts proven results. In this week’s podcast, I’ll be sharing my personal life experience on how I moved from being dead broke and frustrated to earning six figures. 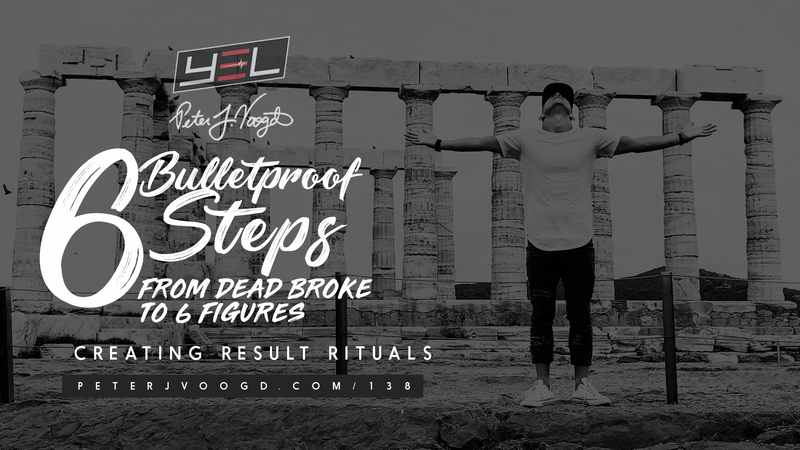 Although I faced many obstacles along the way, I’m grateful to have developed result rituals that produced real results. It’s hard to understand the importance of systems and rituals until you are in a deep mess. But guess what? You don’t have to pass through the same struggles I did when you can learn from my mistakes. Tune in to today’s podcast and discover how I was able to move from being dead broke to breaking records and earning 6 figures. You don’t want to miss this! 1. WHAT IS YOUR GREATEST THREAT TO BECOMING DEBT FREE? 2. WHAT STEPS ARE YOU TAKING TO OVERCOME THIS CHALLENGE?